In today’s pro-tip, we’re stepping away from tech to address a more common issue inside the church and telling you what no one else will tell you about No Food and Drink Signs in church. In short, these signs are unwelcoming. We understand why you put these signs up. Either you want to keep your place clean, or you want to be respectful of service inside, maybe a different reason all together… but these reasons are not on the minds of attendees when they are coming into the building. You have to look beyond what you’re doing into how it makes people feel. I’m not talking about treating everyone like a snowflake… but seriously consider the emotions and feelings that you invoke with what you do. What Kind Of Feeling Does A No Food Or Drink Sign Invoke? A stiff grandmother who doesn’t allow food or playing on her lush white carpet. These are all places that are associated with begrudging attendance. They are not places you want to go of your own free will (sorry grandmother). And quite possibly your grandmas house (my own grandma kept me fed). All these are fun and entertaining places that we are eager to visit. We look forward to these events! So if you say, “you’re welcome to come as you are” but you put rules and limits on what people can bring…well, you just may come off as a happy camper in front a sign that says, “GO AWAY” (much like the thumbnail for this post). These signs illicit a feeling of not belonging. 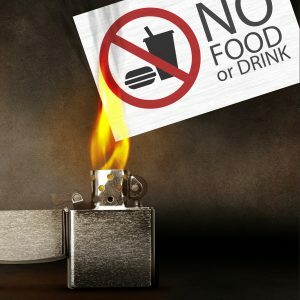 No food or drinks allowed are associated with places we don’t look forward to. Some people don’t want to go one or two hours without a sip of water…so don’t make them! No food or drink signs are a relic of the past. They create the illusion that the church is not a place to be yourself. Many have already broken through the mold of “church dress” and now allow anyone to come as they are. But these signs remain, creating a casual atmosphere that still has rules and limits. If you want to be a church that “feels like family” and says, “welcome home,” make sure your sanctuary feels that way too. Bring down your No Food or Drink signs. Do you still have no food or drink signs hanging up? Let us know in the comments below! Remember that the ultimate sign for your church is your website. 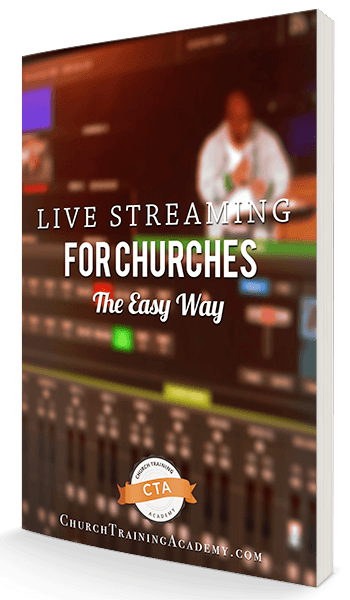 You will get more people finding you online that driving by your church. 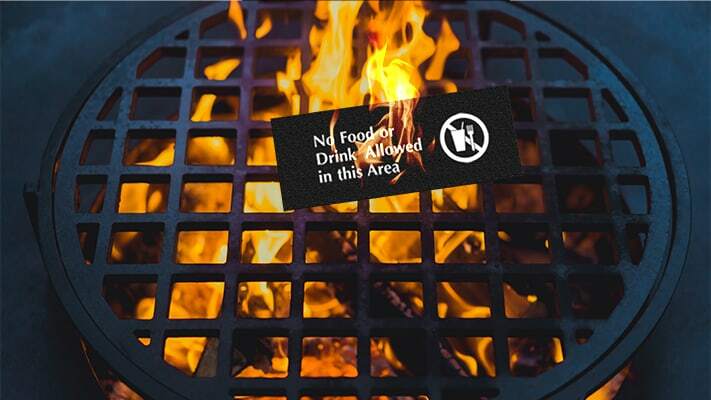 So while you burn your No Food Or Drink Sign…make sure your website is up to speed. The church that I attend just begun serving coffee and cookies at the start of the service in the sanctuary. I am not a fan of it. I am 56 years old and honestly I had never ever seen this practice previously. In my humble opinion, the church has allowed the ways of the world to infiltrate its practices. How can we come together in one accord if some are eating cookies and some are drinking coffee while the word of God is coming forth? I am very uncomfortable with this practice but I am not in leadership so I do not make such decisions. I do pray about it at home and I still do not find peace with it. I am of the mindset that we come together to be fed spiritually. I understand having a fellowship meal and coffee after the service but I do not see the purpose of serving coffee and cookies during the service. It creates an atmosphere that resembles a social event instead of a place and time to reverence God. Hey Emerald, thanks for chiming in. Just to clarify, you’re saying your church passes coffee and cookies “at the start of the service” or is it available to partake before the service starts?